Shield your beautiful iPhone screen from daily mishaps. 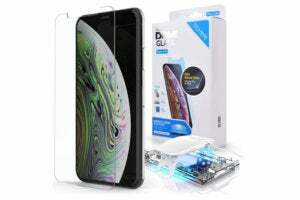 Screen protectors can be a nuisance to get on your iPhone, but they’re essential for protecting your iPhone’s screen from drops and scratches. A countless amount of screen protectors exist on the market today, and many of them are frustratingly poor quality. So we did the heavy lifting and found some of the best that money can buy. How we reviewed: We did two things to test these screen protectors. First, we applied them to make if they fit well and didn’t bubble excessively. Then, we used a sharp pair of scissors to see if they resisted scratches. 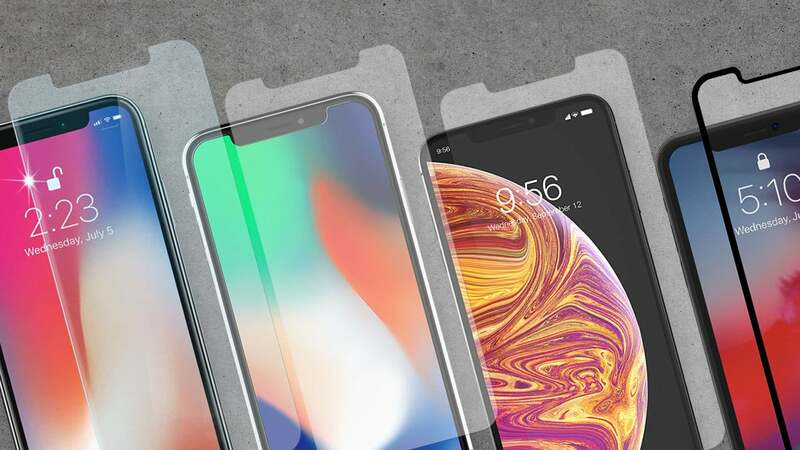 Without further ado, here are our favorite screen protectors for the iPhone. It also helps that Zagg, the makers of Invisible Shield, include a lifetime warranty on its screen protectors. 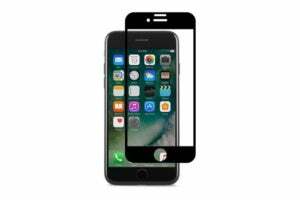 If the Glass+ Visionguard isn’t available for your iPhone model, we recommend going with the normal Glass+. Installation: The Invisible Shield has one of the easiest installation methods. Use the wet wipe and cloth to clean your phone’s screen, then remove the film on the yellow applicator and hold it by the tabs on either end, aligning it carefully with the phone and especially with the camera and speaker cutouts. Press down in the center and, like magic, the screen protector installs itself by adhering to the screen. After that, you remove the yellow plastic film and check for any bubbles. We barely had any, and the few that did exist were easily eradicated by using the cloth to press down on any bubbles until they disappeared. Make sure to start from the center and then head outwards. 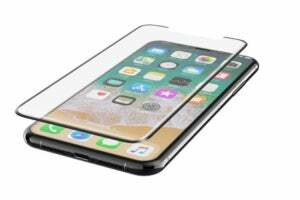 Highlights: As its name suggests, the Dome Glass is a rounded screen protector that fits around the edges of your iPhone. 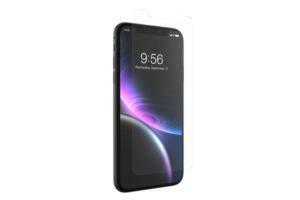 While it claims its “liquid dispersion technology” will fill in and repair existing scratches, the best thing about the Dome Glass is its tight, impeccable fit. And yes, it’s real glass. In fact, its price tag reflects the fact that the protector is made from chemically treated glass. One annoyance with this screen protector is that to apply it, you have to place the glue yourself before sticking it on. You'll need lots of patience during the process. Installation: The Whitestone Dome Glass is easily the most complex screen protector we’ve ever installed. You'll want to watch this tutorial from Whitestone to get it right. Our suggestion: Wear gloves when you finally begin, because this is one installation that’ll make you feel like a chemist. Highlights: Don’t like prying eyes fastened to your iPhone screen? Moshi’s IonGlass Privacy is just what you need. This clever screen protector adds a tint to the screen so that only you can view your phone from the usual downward angle. It also applied easily and made the screen feel great. Unfortunately, this protector is only available for the latest iPhone models. Then it’s just a matter of aligning the protector over the phone and pressing in the center to adhere it to the screen. Finally, rub out any bubbles that may have accumulated. Highlights: If you don’t want the privacy version, Moshi also makes a normal IonGlass screen protector. 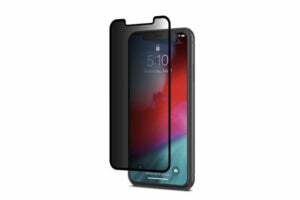 This protector is also available for every iPhone model from the iPhone 8 and up. Highlights: The ScreenForce TemperedCurve is very well-made and simple to apply. Made of four different layers, with the second being the actual tempered glass, it's expensive—but it really feels just perfect once it’s on. The only downside is that it covers the sensors at the top of the phone, though we didn't notice an impact on their functionality. Installation: Belkin makes the application process easy. You first clean off your screen with the provided cloth, then use the included dust removal sticker to remove any remaining speckles of lint. (The latter is a nice touch, as not all manufacturers offer one.) Afterward, remove the film on the screen protector, carefully align it, and press down to adhere it. Once that's complete, rub out any air bubbles that appear. Make sure to rub from the center to the edges to properly remove the bubbles.